Our services on repair, rapair, upholstered furniture of high quality, are observed in minimal terms and under low costs. We carry out a upholstery and ïåðåòÿæêó chairs, a upholstery of kitchen corners, armchairs and sofas both from our material, and from a material of customer. 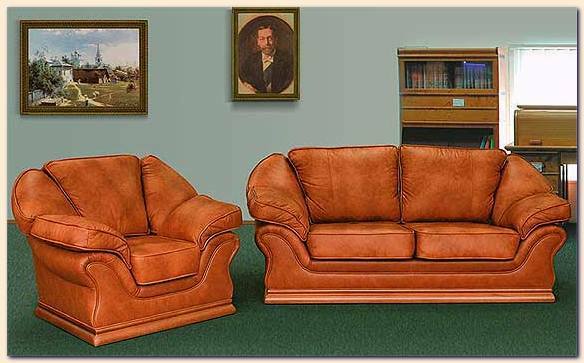 Our masters - experts of a high class on repair, rapair and a upholstery of upholstered furniture, sofas, armchairs. At primary survey master defines a degree of deterioration of furniture, demanded works on its restoration and makes list of all necessary materials and accessories for carrying out of repair of furniture. same day full cost of repair of furniture is calculated and contract is given. you were bothered with your furniture which you see day by day here some years? you cannot see more these wiped sites on your sofa? Dog Has spoiled your favourite armchair? Children have overturned jam on áàáóøêèí a soft corner? you have made repair, but old furniture is not entered in a new interior? you wish to change conditions in a room, having made its brighter? we Suggest you an accessible way to inhale a new life in your upholstered furniture, on pleasure to you and on envy to your neighbours! Upholstery of furniture, ïåðåòÿæêà upholstered furniture, restoration of furniture - here basic word-combinations with which it is possible to characterize shortly your desire to give second youth of favourite upholstered furniture. Our company has saved up huge experience in rapair upholstered furniture. Constantly varying kinds of upholsteries (fabrics), them characteristics and design decisions, force us to keep up to date at rapair and restorations of upholstered furniture, constantly offering our clients more and more interesting and fresh decisions at a upholstery of furniture. In given section costs for repair of upholstered furniture are presented. At rapair upholstered furniture on cost influences sizes of a sofa and design features (presence and quantity of edgings, óòÿæåê, hooks, prolines, îòñòðî÷åê, buttons) and variants of a upholstery. Replacement of all technical materials, fine repair of mechanisms except for ancient furniture it is free-of-charge! Synthetic winterizer..................... From 1,6 - $ * / m2. Technological fabric.... From 2 - $ * / m2. Fabric........................... From 6,4 - $ * / m2. Leather substitute.................... 9 - $ * / m2. Artificial suede............ 12 - $ * / m2. Italian leather............................. From 25 - $ * / m2. Prices for repair of upholstered furniture are specified under condition of repair without export. Export of furniture in our workshop from 30 - $ *. a call of designer with samples - it is free-of-charge!